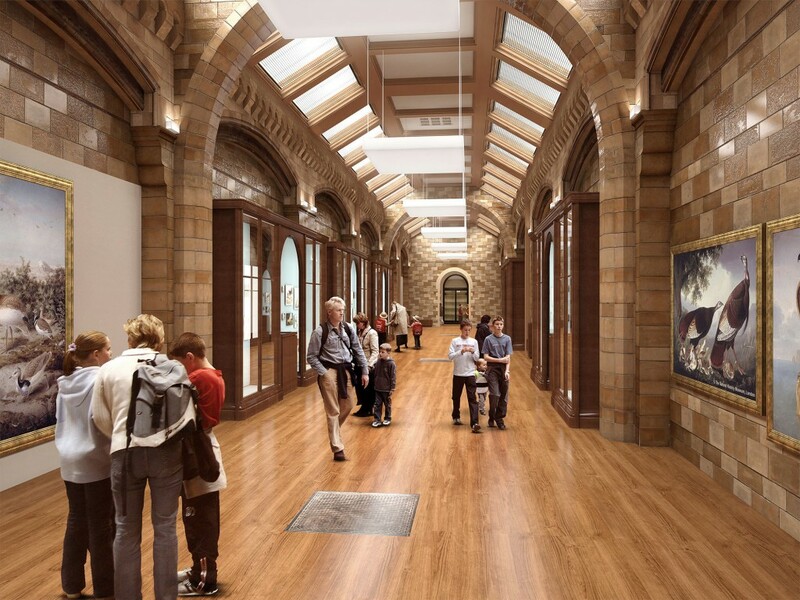 The grand destination that is the Natural History Museum, houses within it’s Victorian walls, the Spencer gallery, or as it’s displayed today, The Images of Nature gallery. Initially an under appreciated carcass of a room, used as a storage space, Shillam + Smith were commissioned for the refurbishment, with eye-kon helping to breathe life into the dead space, done by 3D modelling to immense detail; see the clay render of said model depicting the attention given to the arches and the texture of the walls. Before the refurbishment of the space began it’s original walls were masked by layers of paint, again disguising any personality. The final result was to expose the original terracotta walls and thus the original character. 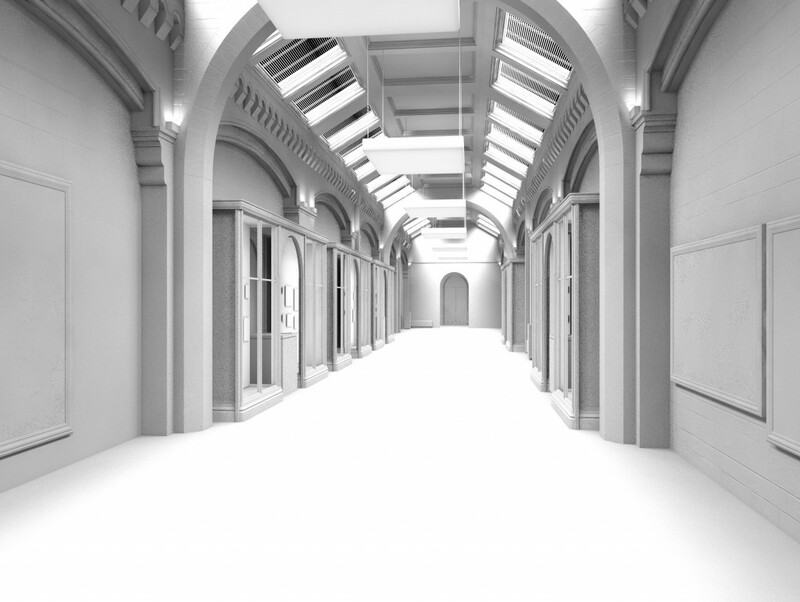 In the 3D CGIs Eye-kon textured this by referencing the adjacent galleries, creating bitmaps from the photographs. If you visit the gallery today you will notice the similarities in ambience in the physical space and our computer generated images; comparing here the render and a photograph of the gallery, the warmth and tonal qualities, and the relationships between the light and materials that they share can be seen.